I am surrounded by family that loves to garden and plant! My father-in-law is an awesome gardener; if you know anything about him you know that! You name it, he’s got it! My mom too, she loves plants! When I was younger she had a vegetable garden, but now she is more into plants and flowers. Her yard is beautiful. I’ve been trying to grip this green thumb for years now. When Andrew and I first got married I bought a tomato plant (that was already big with one tomato on it). It was dead within a month. 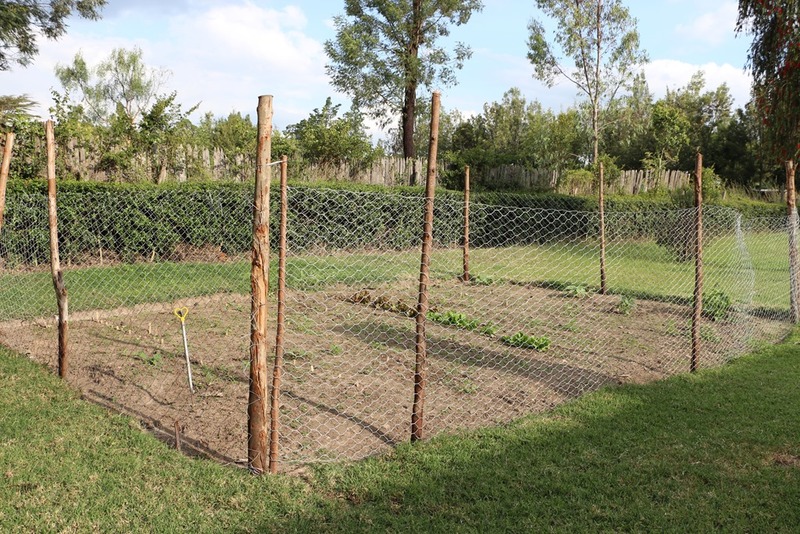 When we first moved to Kenya, I planted a very small herb garden. It was also dead within a few months. But….this time I’m determined! 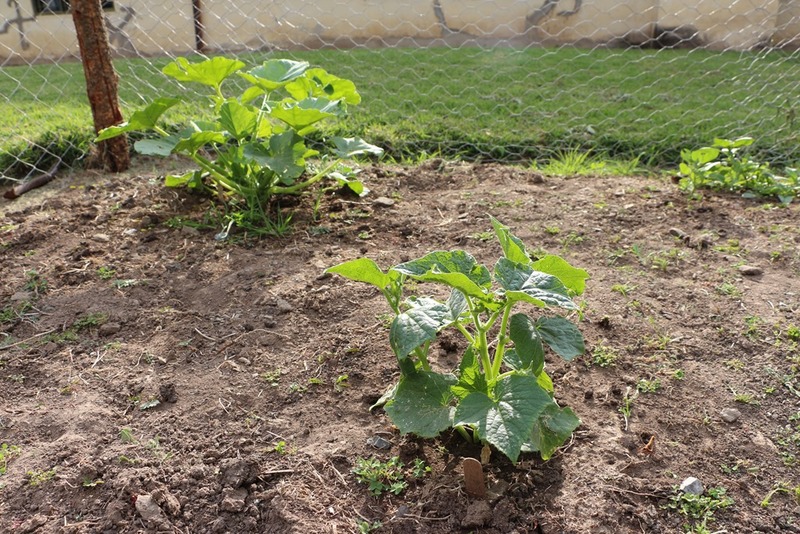 I have recently planted a HUGE vegetable garden. I planted 21 different things. 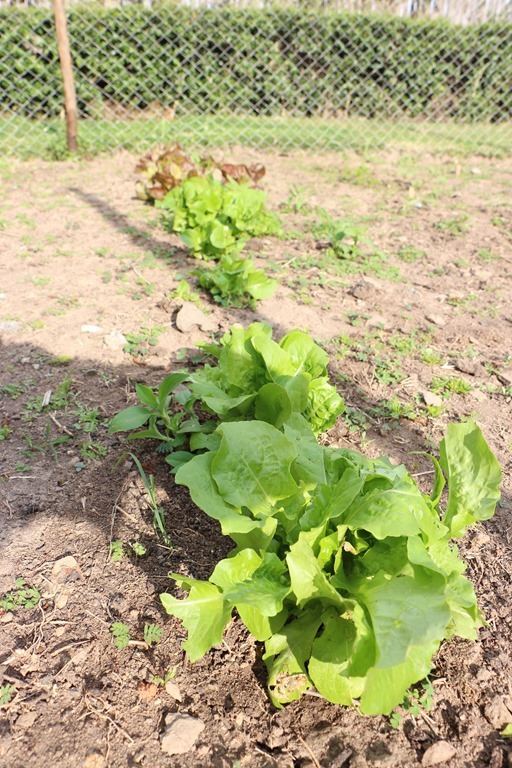 From lettuce to cucumbers to onions to melons. I planted all the seeds almost 2 months ago. And now things are starting to grow! But I’ll let you in on my little secret. Its not at all that my green thumb is present. 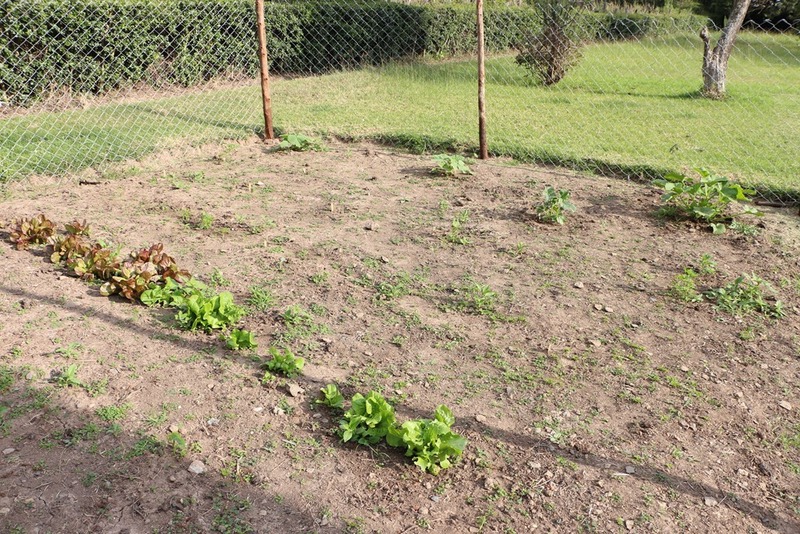 Its that Kenyans are awesome gardeners! And I have help! A teacher at our school lives on our compound with us and she has been my lifesaver. She helped me plant, she goes out in the evening and waters it for me (I do too, but she beats me to it sometimes! ), basically she helps hold me accountable. A friend of ours who does our yard work has also been a huge help. And my biggest problem is weeds. I can’t tell what’s weeds and what’s not. So they have been a great help with that too. There have already been times I’ve wanted to give up (it’s a big project! ), but I’m too embarrassed with all these friends helping me. Is that a good reason? Hoping to eat from it soon! Come on over and I’ll share.